29 Dec Dear Monday: Buck Off. 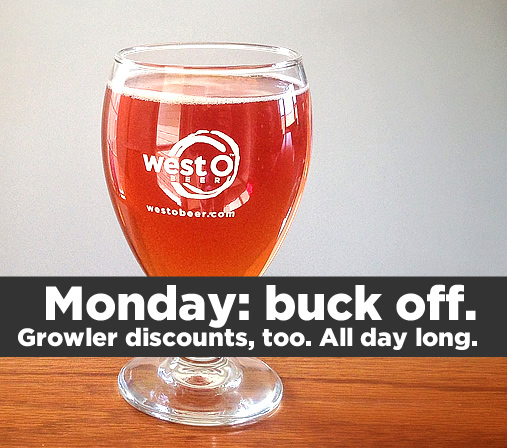 Some would argue with our reasoning, but Mondays were the real deal, with Monday Night Football plus growler discounts. We could actually look forward to a good Monday. Well, now MNF is riding off into the sunset for another year, so it’s time to kick it up a notch. It’s Buck Off Monday. Get draws in our tasting room for a dollar off, plus we’re still doing discounts for growlers. Football is winding down, but we’re just getting started.